I am really excited about this project—-I have enjoyed this creative endeavor more than any other book I’ve written and feel that the information will be of great use to both health care professionals and consumers. As it evolved, I asked a number of cutting-edge integrative practitioners to add to sections of the book to provide their perspective, and in doing so it has taken on a sense of a shared experience which has made it even sweeter. Essentially this book is about unusually sensitive and toxic patients that have struggled with all kinds of treatments: how to understand the causes for this extreme sensitivity/toxicity and then how to approach treatment using the Rebooting Model as a new paradigm of healing. Writing about this material has been a true labor of love, and I am delighted that the publisher, Victory Belt, has fast-tracked its release. NEW BREAKTHROUGH IN THE UNDERSTANDING AND TREATMENT OF AUTISM! This is a ground-breaking research publication which clearly demonstrates that Chronic Fatigue Syndrome/ME is a biochemical illness (NOT psychosomatic) in which we can clearly measure specific imbalances from the blood of CFS patients. These imbalances differ between men and women, but the specifics of these results give great hope that we now have a test which can delineate CFS patients. This is the first in an anticipated series of research papers designed to clarify the chemistry of a wide variety of chronic illnesses: how they may be similar, and different. The next research project, already underway, with Dr. Paul Chaney’s CFS patients should be completed soon. On Hope and Healing: For Those Who Have Fallen Through the Medical Cracks is a resource book offering the latest information on a range of illnesses that most family practitioners are unequipped to diagnose or treat effectively. Written in nontechnical language, On Hope and Healing also offers clear, readable explanations for the causes and cures of today’s onslaught of complex/chronic illnesses. Physicians and patients alike will benefit from this book. For other countries, please contact us at askdrnathan@earthlink.net regarding shipping rates. Copyright 2010 Neil Nathan, M.D. With unusual clarity and first-rate science, Dr. Neil Nathan encourages us to shift our thinking to a more holistic, multifactorial, and positive approach to chronic and recurrent illness. On Hope and Healing eloquently transports health and medicine into the 21st century. It is, I believe, by far the best book, the most comprehensive book, and the clearest book ever written about integrative holistic medicine. Dr. Neil Nathan’s On Hope and Healing makes an essential contribution to the millions whose medical care has suffered under the limited vision of our conventional medical system. Professionals and consumers alike will find innovative approaches that combine cutting-edge healing options with practical medical care choices. -Robert Anderson, M.D., Founding President, American Board of Integrative Holistic Medicine, author of Clinician’s Guide to Holistic Medicine and Wellness Medicine. 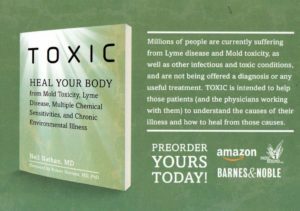 Coming in Fall, 2016 – In our newest Lyme disease book, ten of the world’s most successful, experienced and insightful doctors share new, cutting-edge solutions for Lyme disease that are helping thousands of people to recover from one of the most challenging and disabling epidemic diseases of our time. Few doctors know how to treat Lyme and the conventional antibiotic approach is proving to be insufficient for many. The doctors go beyond antibiotics and share strategies and tools that truly work. 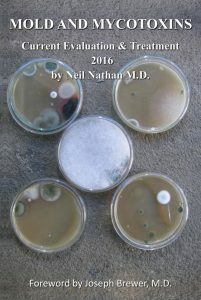 They share how to heal the body from the inside out and not just eliminate microbes, which, although important, is an insufficient approach to treatment. Some novel therapies discussed in the book include: bio-magnetism, low-dose immunotherapy, hyperthermia, intravenous silver, ozone and phosphatidylcholine, essential oils and herbal remedies. As well, the doctors share safer approaches to antibiotic treatment and how to treat Lyme in ways that leave patients feeling better, not worse. But that’s not all. The doctors share how to heal from common Lyme co-conditions such as mold toxicity, hormonal and nutritional imbalances, environmental illness, dental cavitation infections, and emotional trauma—among others. They share supplements, and at-home therapies that people with Lyme can do on their own at home to aid in the healing process. Perhaps most importantly, the doctors share more than just treatments and tools; they share powerful insights about how to treat one of the world’s most insidious and complicated illnesses, and in so doing, provide encouragement and hope that even the most challenged and sick Lyme disease patients can recover. Discover the missing pieces to your healing puzzle by gleaning powerful insights into Lyme disease treatment from some of the world’s best Lyme disease doctors, and say good-bye to Lyme, once and for all. 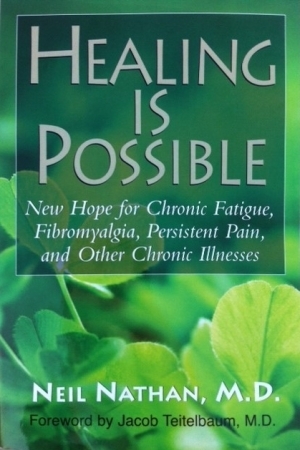 A useful and comprehensive resource for anyone who has fallen through the medical cracks, “Healing Is Possible” provides you with new hope for healing. through direct, hands-on experience, Dr. Nathan has brought countless people relief from their long-term symptoms and illnesses. like a top-notch medical detective, Dr. Nathan gathers the facts and uncovers the clues one by one to bring about a steady improvement in his patients’ health. In “Healing Is Possible”, Dr. Nathan identifies the twelve major imbalances in the body that often contribute to chronic and/or complex illnesses, such as chronic fatigue and fibromyalgia. Unfortunately, these balances are often overlooked or ignored by mainstream medicine. By identifying and treating these imbalances-which he calls the “Big Six” and “Little Six”-symptoms often improve or resolve completely. While further investigation is sometimes necessary for complete healing,when a well-informed and valiant effort is made on your behalf. 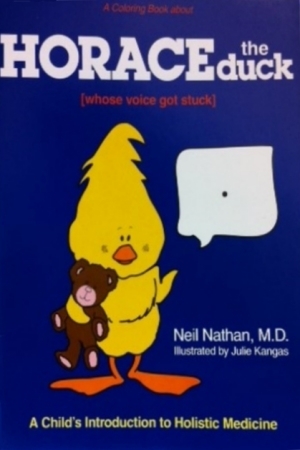 Dr. Nathan assures you that healing really is possible. Cutting-edge diagnostic tools and treatments are discussed in easy-to-understand language, arming you with information that may be vital for finally getting relief from your long-term health complaints. Further, the importance of having an open mind and good attitude are on top of Dr. Nathan’s list. A caring and knowledgeable physician can make a world of difference, as illustrated by the case studies included throughout the book. Customer Reviews on available for viewing on Amazon.com. Click here to see them! 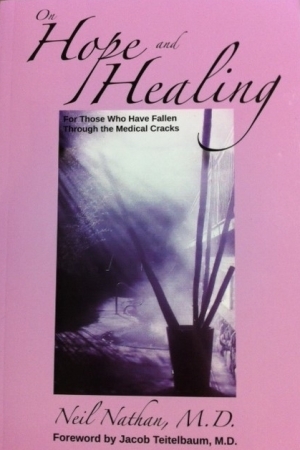 If you are interested in purchasing Healing Is Possible, please purchase through Amazon.com. This section under construction. Thanks! !